Numerous reports show that Bangladesh was not the only country to replace its Miss World finalist this year, as several other countries had to go through similar ordeals. 9 other countries, namely British Virgin Islands, Cameroon, Cayman Islands, France, Greece, Iraq, Guatemala, South Africa and Turkey – also dethroned their representatives after allegations of marriage, indiscipline, and the minimum age requirement came to surface. Jannatul Nayeem Avril from Bangladesh and Vian Ameer Sulaiman from Iraq were dethroned as the Miss World for their respective countries for hiding their marriage information in the entry form. 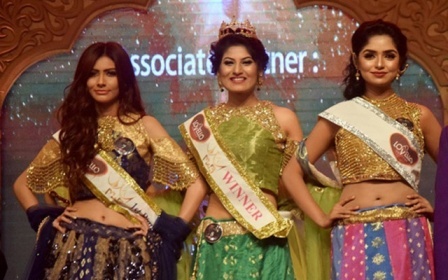 Jessia Islam (Second runner-up) from Bangladesh was later crowned the eventual winner of the pageant, replacing Avril. On the other hand, Masty Hama Adil (1st runner-up at the pageant) was crowned the new Miss Iraq 2017 after organisers disqualified Vian Sulaiman for hiding her marital status. The country will enter the competition for the first time. Helina Hewlett (1st runner-up) was appointed Miss World British Virgin Islands 2017 as a replacement to Khephra Sylvester who would compete only in Miss Universe 2017 due to the conflicting dates of the two international pageants. Michèle Ange Minkata (4th runner-up) was declared as Miss Cameroon, replacing Julie Nguimfack, while the Cayman Islands appointed Kristin Amaya (1st runner-up) to represent them at the global beauty pageant, as a replacement to Anika Conolly as she didn't meet the minimum age requirement. Anika was previously a replacement to Derri Dacres-Lee for similar allegation. Aurore Kichenin (1st runner-up) was selected from France as a replacement to Alicia Aylies, Miss France 2017 who will be set to compete in Miss Universe 2017 pageant. Virginia Argueta from Guatemala replaced Lisbeth Gómez for reasons unspecified. Theodora Soukia, Miss Hellas 2017 was replaced by Maria Psilou from Greece for the undisclosed reason while Adé van Herdeen (1st runner-up) was appointed by South Africa as a replacement to Demi-Leigh Nel-Peters, due to conflicting schedules of Miss World and Miss Universe. Miss Turkey World 2017 Itir Esen was replaced by Miss Turkey Universe 2017 Asli Sümen after Esen tweeted about the attempted Turkish coup of 2016. The 67th edition of the Miss World 2017 will begin on 18 November 2017 at the Sanya City Arena in Sanya, China, where incumbent winner Stephanie Del Valle of Puerto Rico will crown her successor at the end of the event.